The Steel Pier, Showboat, Bally’s, Resorts and Ceasar’s are all visible in this aerial photo looking south over Atlantic City. Bart Blatstein wants to turn one of Showboat’s hotel towers into apartments. ATLANTIC CITY — Get an apartment at the Showboat? The former casino that Philadelphia developer Bart Blatstein bought and reopened in 2016 as a non-casino hotel may soon have one of its towers converted into an apartment building. Showboat presented its application at a hearing Thursday before the land use department of New Jersey's Casino Reinvestment Development Authority, seeking approval to convert one of its three towers, the 20-story tower closest to Pacific Avenue, into 264 apartment units, a mix of studio, one-, and two-bedroom units. That would leave Showboat with 1,000 hotel rooms. "One of the things that really intrigued me was the opportunity to create a community," Blatstein said Tuesday. "The casinos turned their backs to the side streets. There's hope where I am. I have 1,331 hotel rooms. I am going to convert the rear tower. It's all about place-making." The application will be voted on by the CRDA board at its Nov. 20 meeting, said Benjamin Kaufman, Blatstein's attorney. The CRDA controls zoning and land use inside the tourism district, which includes the Showboat property at 801 Boardwalk. The units will be market-rate rentals, Blatstein said. Philly developer Bart Blatstein wants to convert the Showboat tower closest to Pacific Avenue into 264 rental apartments. 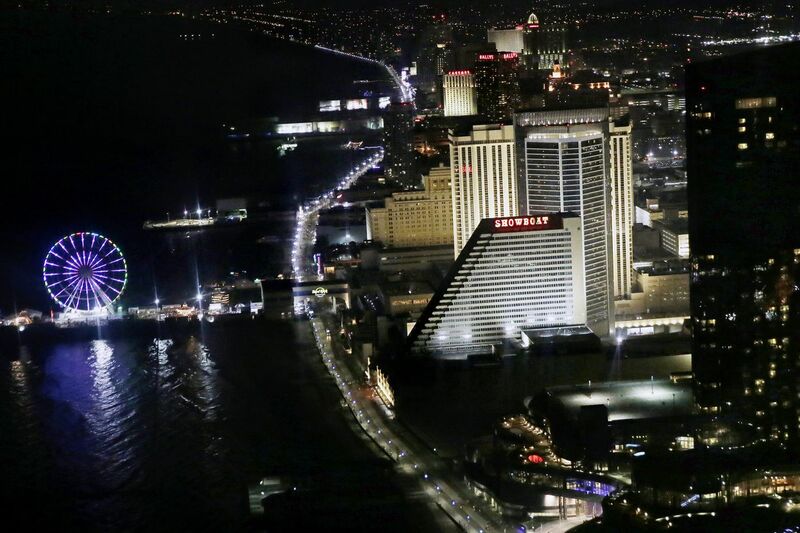 The Showboat Hotel & Casino shut down Labor Day weekend 2014, one of five casinos that closed in Atlantic City between January 2014 and October 2016 during a period of severe economic instability. It was briefly owned by Stockton University, which had a soon-aborted plan to locate its Atlantic City campus there. Stockton has since created a campus at the opposite end of Atlantic City, near Albany Avenue. Blatstein, however, has begun the process of getting a casino license. And Blatstein also owns land on the Boardwalk between Showboat and Revel that was most recently used as a professional volleyball venue and a site for a food festival. That land is not deed restricted. The apartments at the Showboat would join another new apartment rental community just a few blocks away, the Boraie development known as 600 North Beach, which began leasing apartments this fall in a complex with upscale amenities and an outdoor pool. Blatstein said he has added a 14,000-square-foot fitness center to Showboat and plans a co-working space. "There's 8,000 workers right there within a block of me. Who's the market? Everything from casino workers to people who live in Atlantic County that do want to come back to the island, people from Philly that want a second place. The market is there." In recent months, there have been a number of new developments off the Boardwalk, including what is being dubbed the "Orange Loop" after the Monopoly properties, on New York, St. James, and Tennessee Avenues. Already open is Bourré, a New Orleans-style restaurant, bar, and music venue; the HayDay coffee shop; a yoga studio; and Made, a chocolatier and bar. The Tennessee Avenue Beer Hall is set to open next month. Blatstein said plans for the apartments are to be completed by spring.